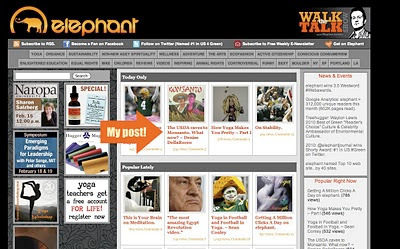 Catch Me At Elephant Journal! Today my post was featured at Elephant Journal. Stop by, the more views I get (you can even "like" it), the better chance I have to become part of the "Popular Lately" section, keeping the issue I am passionate about in the spot light for longer. More eyes, more passion growing! I will admit, I am delighted just to be featured. Click through here: USDA Caves To Monsanto, Now What? 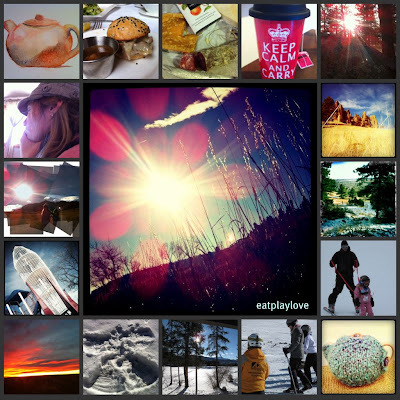 Month's end will bring a re-cap of my favorite photos, my version of the 365 Project. As always a simple click on the photo will enlarge it, for better viewing! Unplugging For The Day, Maybe A New Sunday Tradition?!? My goal for today is to unplug for the day, not like a whole 24 hours, just until after bedtime. I'd like to think I can just close my laptop and not give it a second thought, but that's not very realistic. I know through out the day, I'll be glancing over to the spot where I keep it stored. I'm going to have to stash it out of sight to attain my goal! The beauty of a Sunday is that I have the girls all to myself. We have no place to rush off to, just the day to spend together. Sometimes I feel really down on myself when I get distracted and just hop onto the computer for a minute...always turned much longer than a minute! Or I pick up my phone to take a photo, then just check Twitter, oh and there's a convenient beep letting me know I have a new email, swoosh gone are 20 minutes. Guilt comes creeping in. Today I had the best company on my hike, my girls. 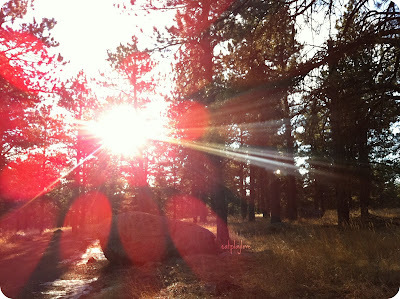 Lovely sunshine and even a few comments by fellow hikers on what a great job they were doing, far out on a trail. While I typically hike solo or with friends, I enjoy exposing them to one of my favorite outdoor activities. On the way down, I wondered when we'd do our first 14'er* together?!? Joking, kind of. 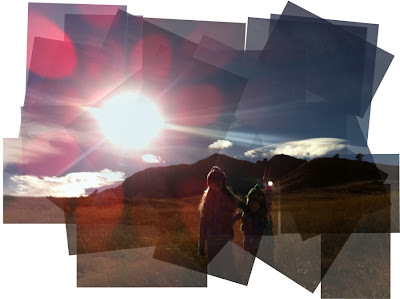 -------- *14'er is commonly referred to a hike on a mountain that is at least 14,000 feet above sea level. Colorado is home to just over 50 14'ers. Wow! Today the trail reminded me of the beauty, the simple pleasure of being surrounded by nature untouched. With that notion, there are no filters used for this photo, just the pure goodness. Yesterday the decision came down from USDA Secretary Vilsack to deregulate the use of Roundup Ready, genetically modified alfalfa. The biggest argument for the decision you will find is that it's farmer's choice. They should have the choice to grow what they want. The reality is farmer's who have dedicated their life to feeding America, don't want to grow that crap. Farmers don't want to start spraying Round Up on plants before they even sprout from the ground. Now, they'll be forced into it. If they don't their crops will be over come by the GE Round Up ready seeds anyway, it's just a matter of time. Then once their crops are overcome, they'll be sued by Monsanto for using their patented seeds. Farmers are amazing and smart people, they aren't going to waste their time losing everything, they are just going to grow the GE crops. If you want more information, please read this post. When I dropped my daughter off at school today, I had about 1 hour of free time. The sun was shining so intensely into my car during my drive across town, I had to take off my jacket and open the window. I decided to return to one of my favorite trails I've hiked since I was just a visitor in Boulder. 60 degrees, sunglasses on, no jacket, January 27th, Colorado you are too good to me. My 4yo started going to lunch bunch twice a week at preschool! She's sometimes a picky eater, literally. She likes to graze at meals over the course of an hour sometimes. She's been doing a great job eating in the time allotted at school. I am so proud of her! Vegetable dumplings Fresh fruit Baby carrots and ranch *Apparently dumplings are really great dipped in ranch dressing. Tuesday Tips: Help Say NO to Genetically Engineered Alfalfa!!! I'm about to attempt to explain in the simplest terms a very serious issue that is up for debate right now with the USDA. Before I get into the basics, I would like to state that there are many sources in which I am going to link to at the bottom of this article if you would like a more in depth explanation. I am in no way trying to dumb down this situation, but rather just make it a bit more digestible to those of us that don't want to read through pages and pages of articles. A Proud Parenting Moment, Brought To You By Scooby Doo! Last week I was trying to get GL's attention and I was in my bedroom so she couldn't hear me calling her. I decided to use the intercom on our new cordless phones and boy did I get her attention fast! She was thrilled and couldn't wait for me to teach her how to use it. Then of course we spent the next twenty minutes talking to each other with her just the next room over. At one point she busted out this quote over the intercom, "When dawn breaks on the summer solstice, the steeple will point the way". I was very impressed! I asked her where it came from and she told me, I don't know. I even googled it to see if it was from a famous poem that maybe was read to her at school. It didn't turn up any results. Then I began to consider that maybe it just came from her brilliant mind. Below is my update from Twitter, sharing with others my daughter's enlightening quote. Today was the first day GL went to school for Lunch Bunch. My darling youngest girl has always been a slow eater, she likes to graze through out the morning on her breakfast and typically has part of her lunch in her lap en route to school. It's not because I didn't give her enough time, it's just because she takes her sweet time. After 4 years, a mother learns to just let her be, she'll eat on her terms. I was a bit hesitant for her to eat lunch at school, so I warned her teachers she may just graze. I was okay with whatever she did eat, I knew if she didn't do a great job then I would just feed her a hefty snack after school. When I arrived to pick her up, the first thing she did was came running to me with her lunch bag. She was so proud that she had eaten the entire contents of Panda! Everything, there wasn't a bite left. Her teacher even wrote me a note saying that I should send a bigger lunch next time. This post was inspired by a conversation I had with a group of friends, some on Twitter and of course a few that well, just don't get it. Hey those are their words, not mine! I enjoy Twitter for a few reasons. One, it's easy, short and sweet. Two, it's a great resource for breaking news and exchange of so many ideas and wonderful information. Three, it's social and I adore the connections I make with people, from South Africa to Oklahoma. Really the bottom line is, Twitter is my happy place. Part of the conversation that came up was following and the dreaded unfollowing of people. Truth be told, I don't dread unfollowing someone if their conversation or broadcasting (people who just put out information and don't engage back) becomes irrelevant to me. Remember, Twitter is my happy place? I just keep that in mind when it seems like my Twitterstream isn't giving me what I want. Just a little tweaking here and there and voile, the balance always returns. Unexpectedly, this past month, I put my youngest daughter's name on a wait list for a new preschool. Now I wasn't unhappy with her current school, but there were a few things that were leaving me wanting more for her. I thought this new school would provide those things. The new school would be in walking distance to my home, would provide her with double the school experience that she currently has, and would be an easy transition because it's the same philosophy program. I was lying in bed, when I caught a glimpse of the blue sky through a small opening in the curtains. The house was quiet and I took a moment to gaze out the window. The first thing that came to my mind was the stillness of the trees. It's been incredibly windy lately, almost scary windy. I jumped out of bed wanting to seize the moment and go for a hike. I dropped Sj off at school and hit the trail for a short one before J had to get to work. This morning I didn't see anyone on the trail and with the calm conditions the hike was very meditative for me, just how I like it. We lost about half the space of our coat closet in the move. Now granted, I am thrilled to have a coat closet, but honestly the downsize was a bit hard to swallow. 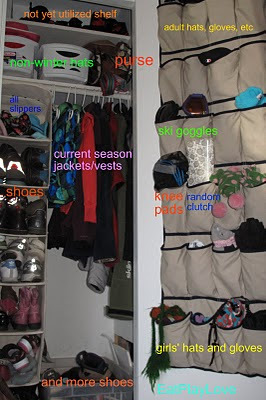 I was browsing online for inspiration and found nothing but unrealistic closets. Really who has upwards of $500 to spend on a closet or better yet what fabulous things could you do with $500 other than put it in a closet? Granted I love seeing beautiful professionally organized spaces, but really my budget was slim, my space was even smaller, so I had to make due. 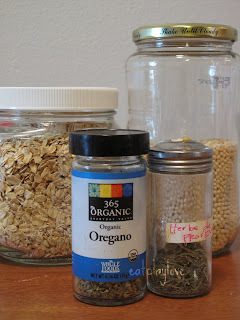 Plus, I love the idea of reusing items that I already owned which is cost effective and eco-friendly! I want to share a few easy tips on how to get the most real estate from a small space. Last weekend I went to do some furniture window shopping with a girlfriend and of course we had to run through the Starbucks drive through first. When I ordered (via the drive-thru) I told the oh so friendly Starbucks employee that I had brought my own cup. I typically don't have a reusable mug with me, but I just happened to be emptying the dishwasher before I walked out the door so I decided to bring it along. This is where the comedy ensuing disaster began. Why America's fast food fascination scares me, in a lovely presentation by Steven Colbert. Delurking Day: Hello, I Love You Won't You Tell Me Your Name? It is common knowledge through out the blogosphere that comments are the currency in which bloggers are paid. 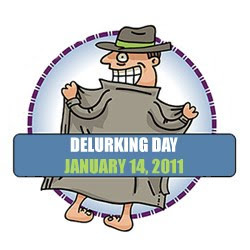 Today has been deemed Delurking Day, which means it's the one day a year we kindly ask for a comment, as a lurker is someone who reads your writing but does not comment. Maybe you've never been here before, maybe you've stopped by occasionally and are surprised I'm still doing this, or maybe you skim through my writing in a reader or email. Today is the day I am asking you to click through and leave a comment... Would it help if I said pretty please??? I'm happy you stopped by, I'd love for you to say hello in the comments. Whatever you want to say, just go for it! The box is just right down there! Oh and in case you didn't know it, I appreciate you and thanks so much for reading Eat Play Love. This morning a new installment of Gwyneth Paltrow's GOOP newsletter came out, called A Day In The Life. Gywnnie offers a first hand glimpse into life as a working mother, as well as a peek into the lives of two other working mothers, one of which is her dear pal, Stella McCartney. Now we can all imagine what life is like in the homes of multi-millionaire celebrities, but the extent to which Gwyneth exaggerates the hectic nature of her life as a working mother definitely had a strong flair for pure comedy. I have to admit, Gwyneth's writing for this particular post was a bit off (that's generous for the writing sucked) and with that I dismiss her ability to take Dooce down as top mommy blogger even though they are like BFF now that they met for 30 seconds in NYC. When we moved into our house, one of the first things to go was the toilet. I just like to start fresh. The main bathroom toilet had a wooden toilet seat that had seized up bolts, so I couldn't even switch up the seat. I thought if we are updating one, we mine as well do both. When the toilets were removed I noticed they were stamped 1962, which also means they were the ORIGINAL toilets put in this house. My oh my. Original Bathroom: Here's a photo of the bathroom when we moved in. Bold patterned linoleum that didn't even come close to coordinating with the paint. Speaking of paint, it was grey on the wainscoting and white up top. Apparently it was freshly painted before it went on the market, as there were tell tale signs of the paint previously being bright orange and green. Like neon. I guess I shouldn't complain about the grey, at least it was neutral. This morning I awoke to snow falling. I knew straight off after looking out the window most of the day would be spent inside, so I asked the girls if they would like to paint. I decided to set up a small still life near their easel with some fruit, a few vegetables, and a tea pot. The still life was an attempt to help focus them when they painted. Sometimes painting becomes more of an exercise of how messy can I get or how brown can I turn all the paint. I am hoping to evolve their exploration into something a bit more refined now that they are getting older. 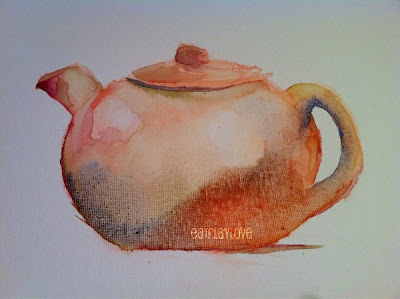 Right as I placed the tea pot down, a simple thought popped into my head. I should join them painting. My favorite part about hiking is when my pace becomes meditative. Coming out of the Canyon, the sunshine was blazing. I had to take a few shots directly into the sun. It created these amazing flower petal flares. 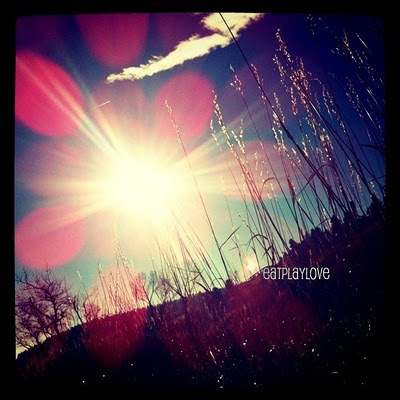 That's how pure Rocky Mountain sunshine translates behind the lens. On my way into the Canyon, it was crisp, but the sunshine was warming my back. A friend of mine posted a photo on Facebook and it made me smile. I asked if I could share the photo here because I had a connection to the moment, even though I wasn't there. Back in December I had the opportunity to bring a Wii along to a holiday gathering that a friend was hosting, set up the Wii to play, and then leave the Wii as a gift to the host. No strings attached, just a simple, SURPRISE! oh and ENJOY! 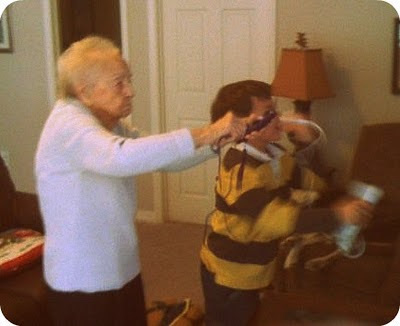 In the photo is my friend's son who is seven (one of Sj's oldest friends, they started playing together when they were little non-mobile drooling babies) and his great grandmother who is 95 years old. Yes, NINETY FIVE!!! They are Wii boxing! I didn't inquire as to who won the match, but doesn't Grandma look like a little spitfire?!? I can only imagine what she scored at bowling. Happy New Year, Back to The Bento! 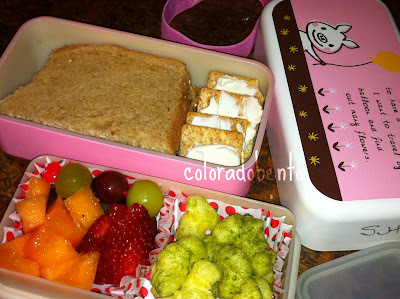 Today was my daughter's first day back to school, which meant my first bento of the New Year! Almond butter and superfruits jelly sandwichassorted entertainment crackers and cheddar little piggiesgrape tomatoesKiwi and blueberriesa butterhorn baked by Papa in New York! I am thrilled the house selling, moving, apartment living, and settling in two times since leaving our first home is behind us. The timing of the New Year and my zest for starting fresh is upon us and couldn't be more perfect. On a side note, this is what I did after school drop off, a little hike. Aiming for 200 in 2011. Follow my journey, here. Yesterday I mentioned I wanted to hike 200 times in 2011. Today I got started. It was cold, windy, and the trail was snowy (hello January), but as far as I'm concerned proper layering, a good hat, some gloves, and careful footing make for great hiking in any weather. Oh and maybe I slept through my alarm, but still managed to use the 45 minutes my husband spared me while he was getting ready for work. I could've made plenty of excuses this morning, but instead I just hit the trail. 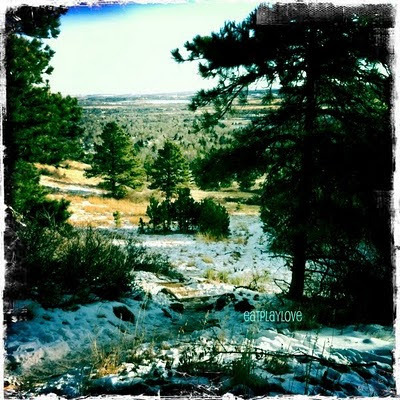 Join me on twitter using #hike2011 anytime you hit the trail this year! I was walking into the mall today through a double set of doors, when I saw a little boy around 3 years old get partially caught and his shoulder smacked by a closing door. His mom, was texting or typing or updating her Facebook status and completely ignoring her child. I quickly ran to the boy to grab the door that was closing in on him fast. The mother was super apologetic to me, but the boys eyes when they met mine were just filled with a blank sad stare. I told her it happens to all of us, one time or another. I later wished I told her to apologize to her child for ignoring him. The more I reflect upon that moment, the more sadness I feel for the distractions we have which make momentary lapses of judgement commonplace. Which leads me to the New Year. Tuesday Tips are back, yeah 2011! Yesterday while popping into the grocery store for a few things on my list, I did my usual scan of the aisles and grabbing a few items off the shelf that were prepackaged. After a little price comparison and walk down the bulk bin aisle, I decided to put back the prepackaged items and go for bulk. The price comparisons are from my local Whole Foods Market, it's where I shop and they have a great bulk bin section. Obviously you want to compare at your local natural foods market or co-op (they typically have bulk bin grains, sweeteners, flours, nuts, etc). Most traditional national grocery store chains do not offer bulk bin options. The savings were dramatic and to top it off there are a few extra bonuses. One, no extra packaging to have to recycle and the best part, controlling seasonings especially sodium content in prepackaged grains. I always have spices stocked in my pantry, so that's never a problem.